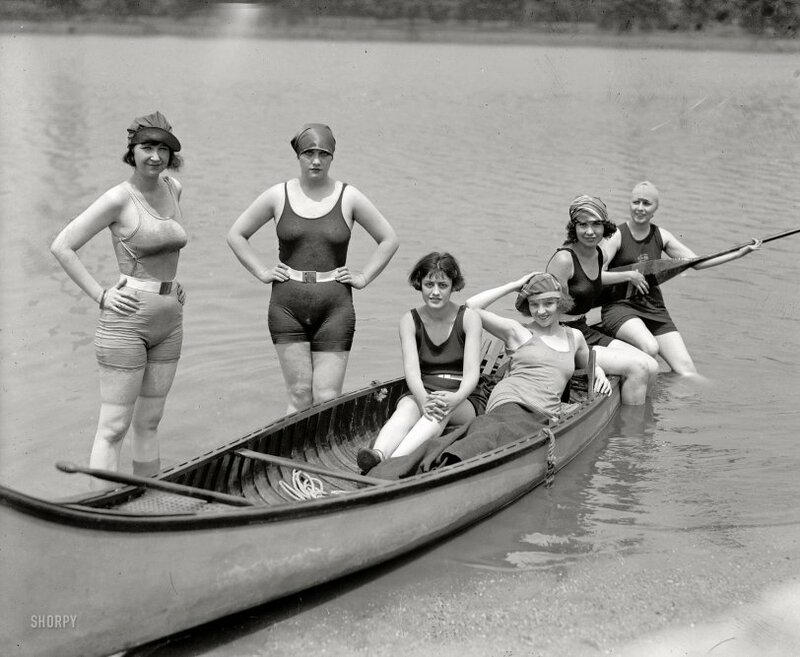 Washington, D.C., circa 1920. 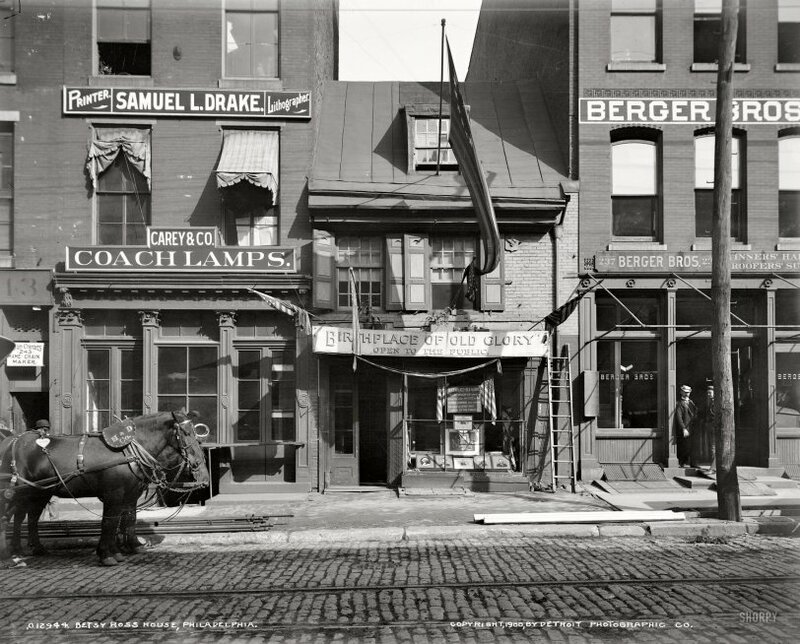 "Lanza Motors Co., exterior, 14th Street." Lanza Motors sold a car called the Metz; neither would be long for this world -- a world whose sidewalks were trod by ectoplasmic pedestrians. View full size. 1922. Washington, D.C. 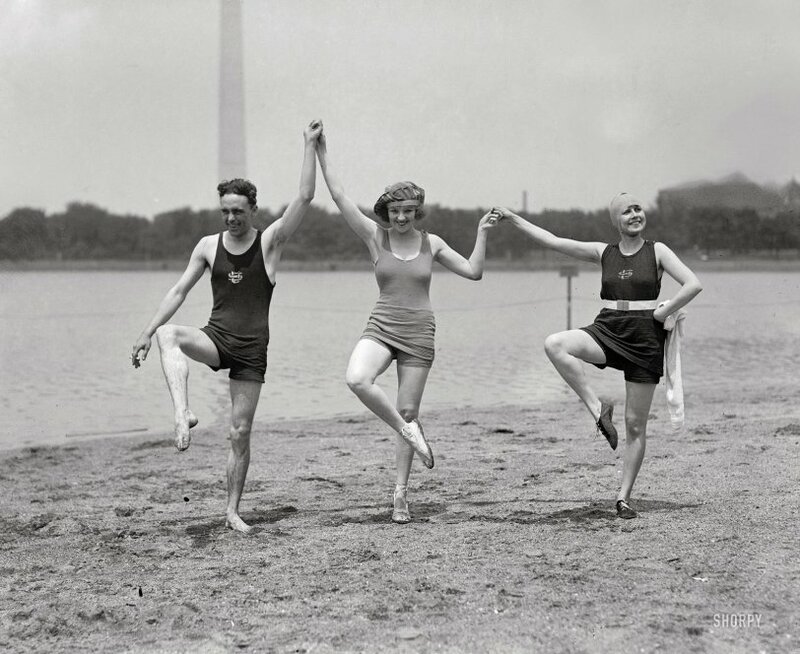 The actress Kay Laurell again, five years before her premature curtain, with friends at the Potomac Tidal Basin. View full size. Sept. 20, 1919. 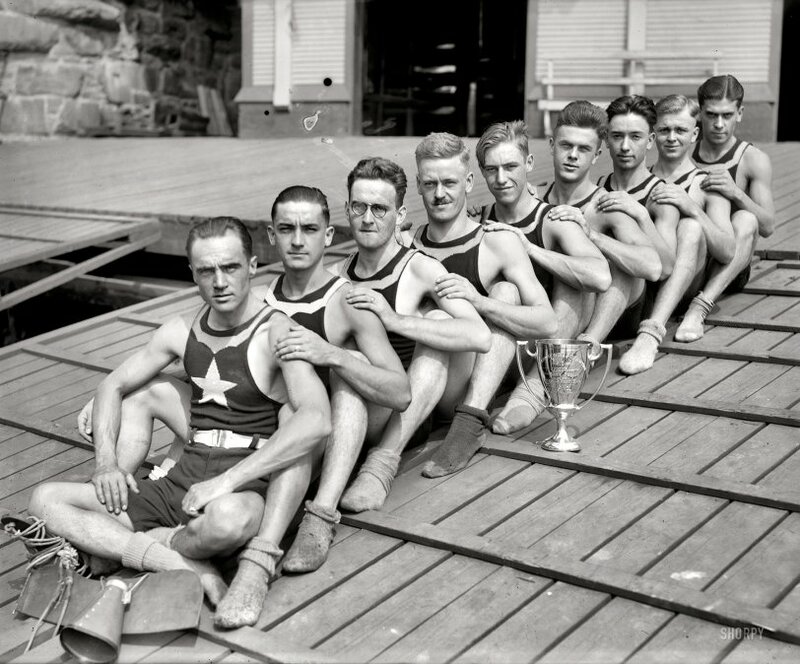 "Potomac Boat Club eight." National Photo Co. View full size. 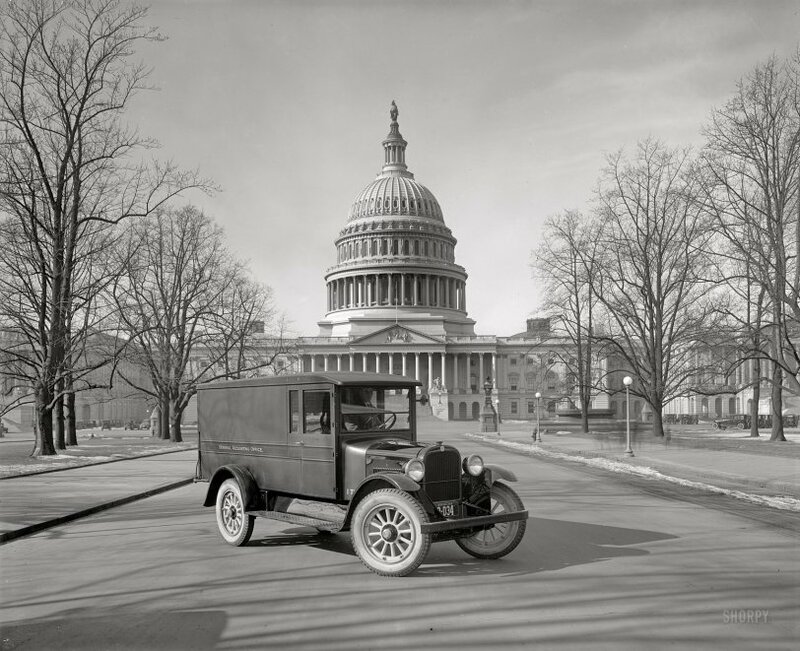 Washington, D.C., circa 1919. 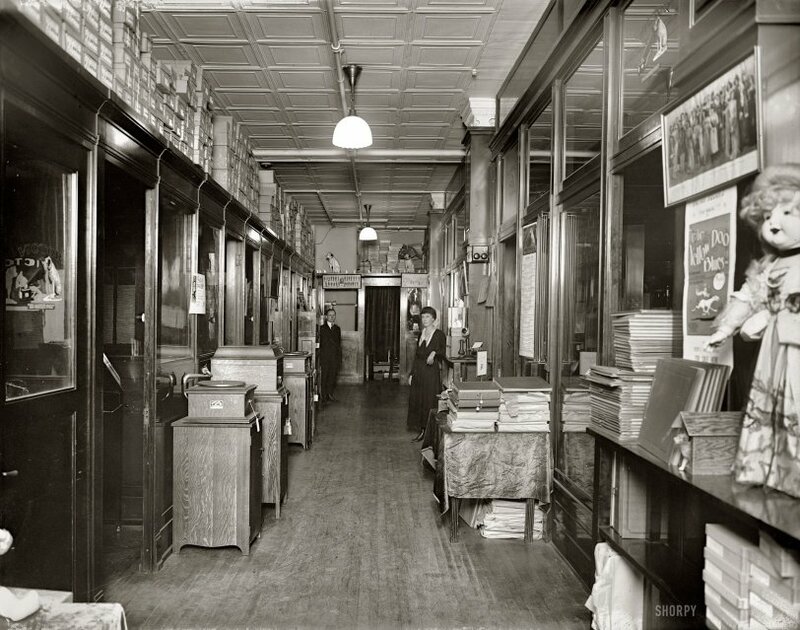 "S. Kann Sons & Co. phonograph department." I count at least a dozen Nippers here, and one Yellow Dog. 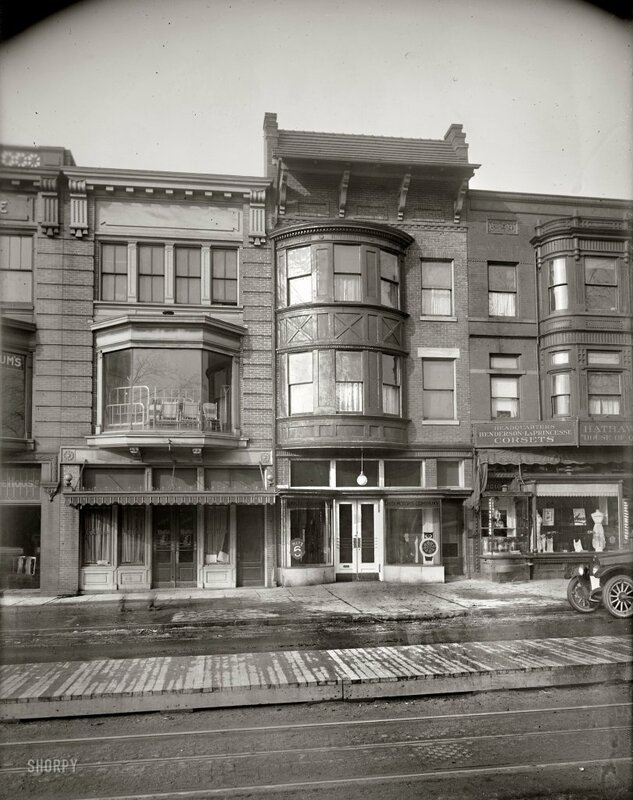 S. Kann Sons & Co. was a department store on Eighth and D streets at Pennsylvania Avenue ("the Busy Corner"). National Photo Company Collection glass negative. View full size. Washington, D.C. "Kay Laurell, 1922." The star of stage and screen, Kay (reclining) was "an American girl who leaped from stenographer to Queen of Bohemia in a night ... she appears in magazine illustrations, and in the new salon pictures -- also on butchers' calendars, soap ads, and so on." Five years after this photo was taken, Kay was dead of pneumonia at age 37. View full size. Washington, D.C., circa 1919. 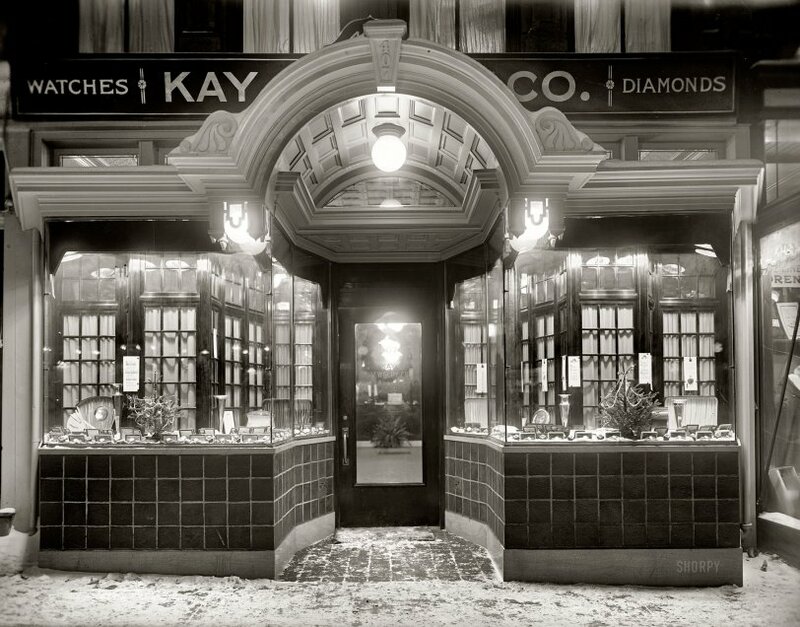 "Kay Jewelry Co., 407 Seventh Street N.W." National Photo Company Collection glass negative. View full size. 1925. Washington, D.C. "Graham Bros. General Accounting Office truck at Capitol." National Photo Company Collection glass negative. View full size. Circa 1900. "Betsy Ross house, Philadelphia. Birthplace of Old Glory." Happy Flag Day from Shorpy! Detroit Publishing Co. glass negative. View full size.